Carrasco & Associates are the Architects for this world-class mixed-use center which will form a new gateway to East Palo Alto. The firm has been involved from the outset in site planning, programming, public discourse and coordination with the City decision-makers. 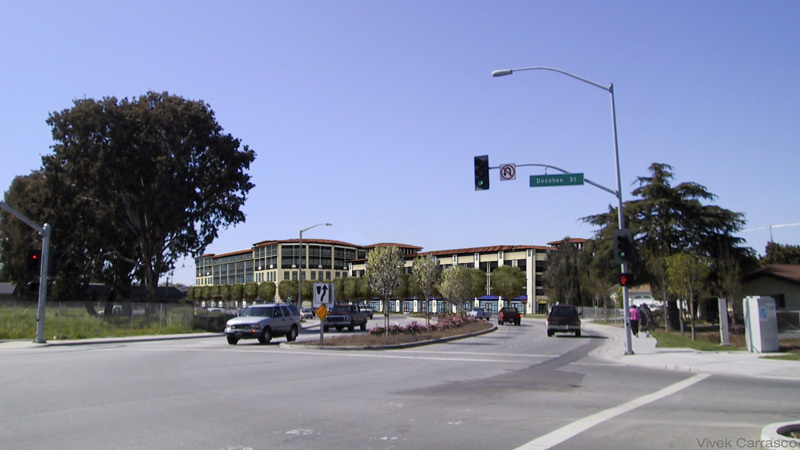 Design studies have evolved into the present concept design which provides an anchor for this key intersection at the entrance to East Palo Alto. University Palms will fulfill the vision of the City's redevelopment plan for the Gateway/101 area. 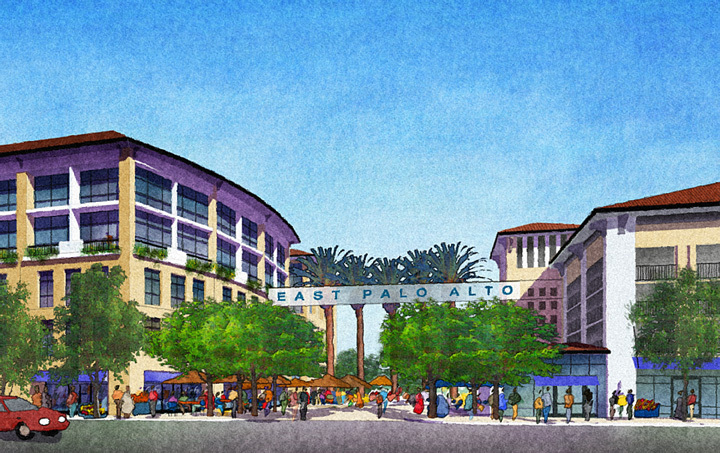 It will create a socially and economically vital place where people can shop, work and connect in a way that fosters East Palo Alto's sense of community. Located on 2.5 acres along Donohoe Street, between University and Cooley Avenues, the complex will provide neighborhood-serving retail space and regional office space. The project is comprised of two buildings featuring ground-floor retail shops, 4 levels of structured parking to accommodate 600 cars, and 4 floors of office space, designed to minimize impacts on nearby homes. The public spaces include landscaped plaza, cafe seating, street trees and attractive lighting. The developer is providing rent subsidies for local business owners who will occupy the 15 retail spaces with restaurants, beauty salon, newsstand, and other service businesses. Building area includes 22,000 s.f. of retail and 165,000 s.f. of office space.